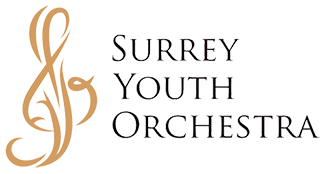 Surrey Youth Orchestra scholarships are made available each year to outstanding students in each orchestra who perform at a high level and attend rehearsals regularly. The scholarships take the form of reduced fees for orchestra registration in 2019/2020 and are applied when the student registers for next year’s program. The number of scholarships awarded is based on scholarship donations received. Scholarship winners will be announced at the May 12th year-end concert. Each applicant is required to play a prepared solo piece of their own choice. There will be no piano accompaniment. Memorization, although not mandatory, is preferred. Senior Orchestra: 1-3 pages, and a maximum of 5 minutes playing time. Symphonic Orchestra: 1-3 pages, and a maximum of 5 minutes playing time. Intermezzo Strings: 1/2-2 pages, and a maximum of 3 minutes playing time. Prelude Strings: 1-1/2 pages, and a maximum of 2 minutes playing time. The competition auditions will take place at Surrey Christian School, during and after regular rehearsal times on April 13, 2019. Applicants will be notified of their individual competition time prior to the competition day. Competition times will be assigned randomly and no special arrangements can be made. 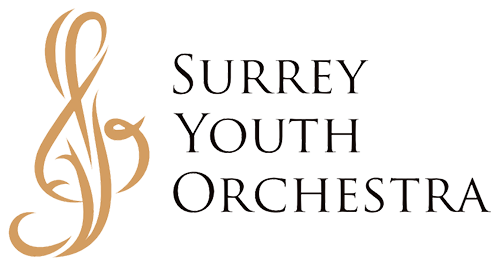 •	Scholarship winners must confirm registration in the Surrey Youth Orchestra for the next season before receiving their scholarship awards. •	Scholarship monies are applied towards the orchestra fees for the following season. •	The adjudicator’s mark will make up 50% of the total mark. The other 50% of the mark will be provided by the conductor, based on the applicant’s performance at rehearsals. The marks of the adjudicator and the conductor will be final. •	The adjudicator’s written comments will be made available to each applicant after all decisions have been made. •	Decisions made in awarding scholarships will be final.